Enjoy funny, hilarious, witty, naughty SMS for girlfriend, boyfriend, him and her. Get best, cool, cute, teasing naughty SMS quotes or text messages for Whatsapp, Facebook in Hindi and English. Are you looking for only English naughty quotes or text messages? Then we have a good collection for you to share it with your friends. Boy – let’s talk naughty and make my heart beat faster.Girl – just run fast. Boy – be romantic no.Girl – Run faster because my father is coming. Wife – You love me then prove it.Husband – you are alive, what other proof you want? Imagine, when one lip will come closer to other lip then what will happen? Dirty minds, it will simply shut the mouth. Boyfriend – will you love me after marriage as well?Girlfriend – It will depend on my husband nature. I saw my friend and I shouted, hello idiot here, trust me about 50 people turned around. A Woman at bus stop – these babies are so cute, they belong to you? Man – No madam, I am a condom manufacturer and these are clients complaints. Doctor – madam you are so weak and exhausted, are you enjoying meals as per my advice?Lady – What meals? I thought you said males and I gave the chance to my servant as well. Boy – I am feeling bored today. Girl – no problem, just open the chain and put your hand inside. Boy – Oh really? Girl – yes, and take out the book of the bag and read it. Student – teacher, can a girl get pregnant at the age of 12? Teacher – No dear, I think you should tell your girlfriend to chill. Student – Yes teacher, please tell your daughter to chill and relaxed. Lady – yesterday, he came and sucked me, and once satisfied he fled. Husband – let’s file a complaint against him. Lady – I am talking about a mosquito, you dirty mind. Must Read: Best Insult SMS in Hindi and English. Unlike other SMS’s we have mixed naughty SMS for girlfriend in English and Hindi. Enjoy mix text of naughty messages and share this cocktail with your friends too. और हम खुद ही प्यार करे तो वो दुराचार? Yesterday girl called me and asked to come urgently, I went in a mood, and she gave me a broom to clean her room. Boyfriend – how many affairs you had? Girlfriend – hmmBoyfriend – thank god, I know you never had a boyfriend.Girlfriend – I am still counting baby. Why are girls lesbian? Because they don’t want to see guys happy. Girls you always do shopping for clothes but have you noticed that you enjoy most without it. Girl – I have written a book but how to cover the money? Boy – simply put your photo on a cover without covering yourself. Must Read: Funny Friendship SMS for all. As we already said, we have created a cocktail for you people. If you want to share Hindi and English naughty SMS with your friends or boyfriends then we have a quality collection for you. Friend – what happen, why you are so sad?Man – my wife is pregnant.Friend – tension no?man – my girlfriend is also pregnant.Friend - terror no?Man – but I am not responsible for any of them. Boy – what is your age?Girl – 20 Boy- I am also 20 years oldGirl – cool no?Boy – you like cricket?Girl – yes, why?Boy – let’s play 20-20 match no. Son – mon, dad is in love with a woman, and it's.......Mom to father – you cheater, I want a divorce now.Son – mom he is in love with a woman and it's you. You are too hot and handsome and my complete man until I will not get better than you. Girls are shameful because they want everything from one boy.Boys are helpful because they want only one thing from every woman. Man wants to commit a suicide.A friend asked – Why? Man said – My wife fled away with a Pathan, and I can’t live without my Pathan. बाजार वाली थोड़ी करक होती है,ऑफिस वाली थोड़ी पतली होती है,घर वाली गरम गरम होती है,अब आप बताओ कैसी रोटी पसंद करेंगे आप? 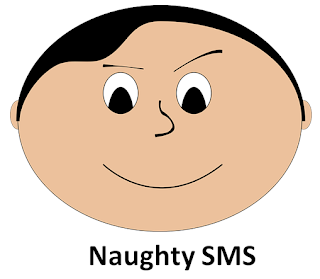 We have just covered naughty SMS for girlfriend, boyfriend in Hindi and English. If you enjoyed these quotes or SMS then share it with your friends. If you liked our content on naughty SMS for boyfriend, girlfriend then please like us on facebook or tweet for us. It will motivate us to add more to SMS collection. Very Funny Double meaning jokes. Thanks for sharing with us. Get more funny dirty jokes here.